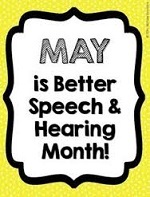 The Canadian Hearing Society (CHS) will be promoting public awareness about hearing health and barriers to communication during Speech and Hearing Awareness Month in May. It highlights how technology, changing societal attitudes and legislation have contributed to increased communication avenues for all people, including people who are Deaf, hard of hearing and hearing. Text and video messaging, email, and improved hearing aid and communication device technology have made communication easier than ever before. Yet, many consumers still encounter barriers to communication today.